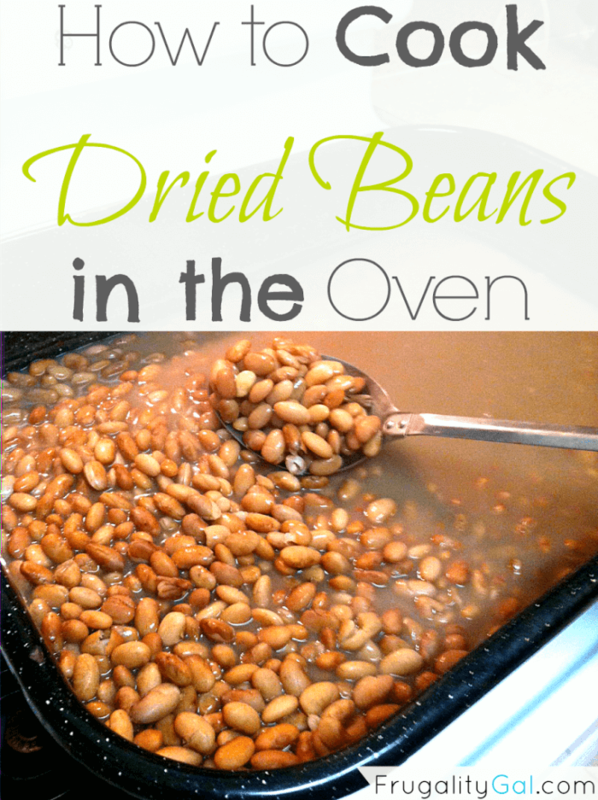 There are tons of tutorials out there about how to cook dried beans. Sure, the traditional way works just fine and produces tasty beans. But, I recently tried out this method of cooking dried beans and love it because it is truly effortless. I love cooking dried beans. They taste better than canned beans. And they save lots of money. And hey, the money-saving factor is always what I’m after. 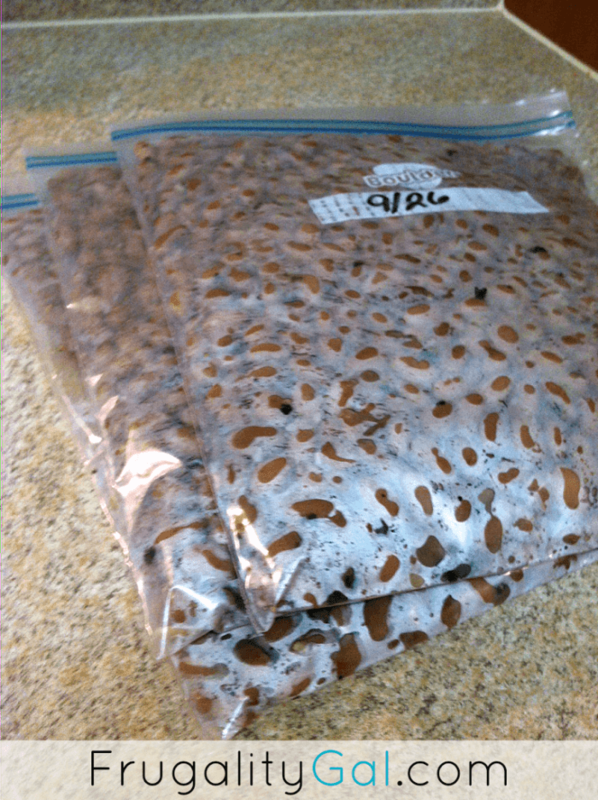 Soak dried beans for the amount of time recommended on the package. I do it for about 8 hours. 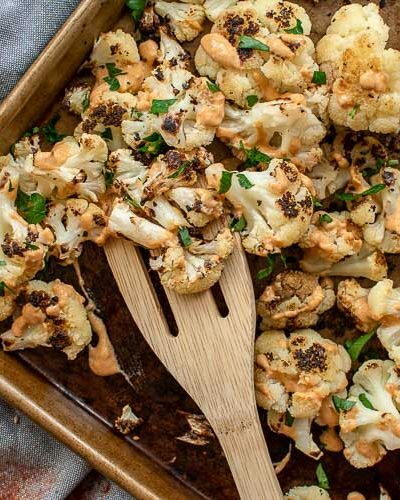 Add them to a large casserole dish/roasting pan. Cover completely in water – there should be about a 1/2 inch of water above the beans. Do not add salt or any seasonings at this point because it will interfere with the cooking process. You may find that yours will need a little more or a little less time. Taste test a bean or two to see whether you need to let it bake a bit longer. There will still be a fair amount of water left in the pan. This is completely normal – just drain it off. You can also go ahead and add your salt now as well. You can forgo the seasoning process altogether if you’d like. I was able to get about 10 cups out of the one package of dried pinto beans. I was just experimenting when I decided to make the beans in the oven. Sure you could call them baked beans because they’re made in the oven. But I really don’t think they resemble baked beans much at all. My biggest issue with cooking dried beans in a big pot is the fear that it’ll boil over. 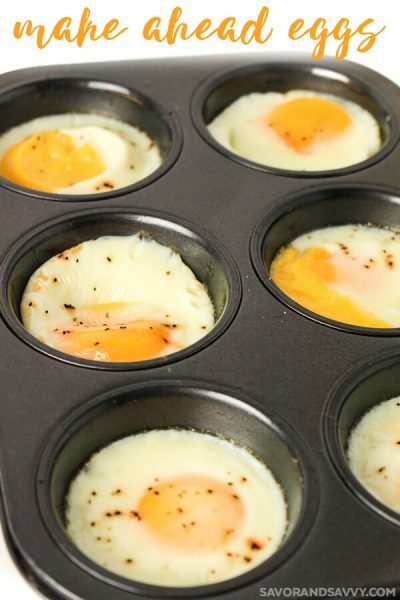 By making it in the oven, there’s nothing to worry about so long as you use a big enough pan. 🙂 Please let me know if you’ve heard of easier ways of how to cook dried beans. I’ve only heard about stove top cooking and cooking them in a slow cooker. But every time I’ve tried the slow cooker method, the water always steams off and they get dried and crusty to the point where you can’t even add water or milk to rejuvinate them. I’m going to try your method next – thanks for sharing. I use the slow cooker all the time for making beans. I think Jill of all trades must either be using too little water or cooking them too long. I’ve done beans this way for 20+ years and never once had an issue with them drying out. It only takes a few hours and I like not having to run the oven! Sometimes I run both slow cookers at once for giant batches to cook and freeze because I have 10 kids and I cook in huge amounts. You will need to watch them in the crockpot and add more water if they seem to be getting low. The crockpot is nice in that it doesn’t heat up the house, but you cannot forget about the beans like you could if you were making them in the oven. Thanks for the awesome tip!!! I do them in a crock pot and live how they come out. Put the beans in with about 7 cups of water, out the meat of choice, seasonings, and onions and bell peppers if you’d like. I cook on low and they come out perfect. I slow cook beans all the time, after soaking them. I just check them every couple of hours to make sure they are still covered with water. I cook them longer if I plan to make them into refried beans or bean dip. Great tips, de! I’ve started slow cooking my beans since writing this post and I love the results with both methods, but the crockpot is a bit more set-it-and-forget it which I love! Oh my goodness! I need this for my readers! LOVE it! 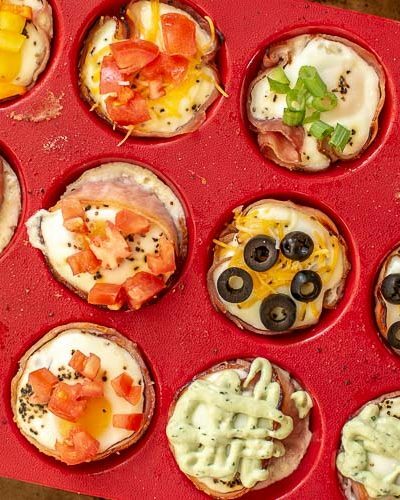 Great idea… I assume you freeze them for later use? Yup! I just let them cool down and then pop them into a freezer bag. 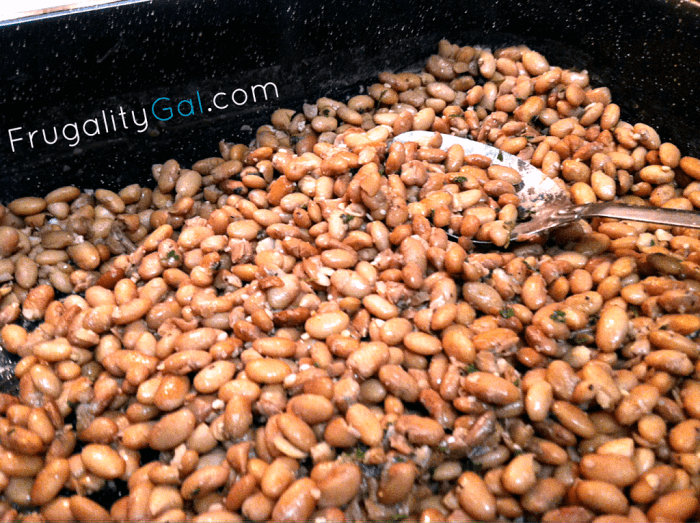 Have you tried cooking beans in a pressure cooker? I have a plain old stovetop pressure cooker. 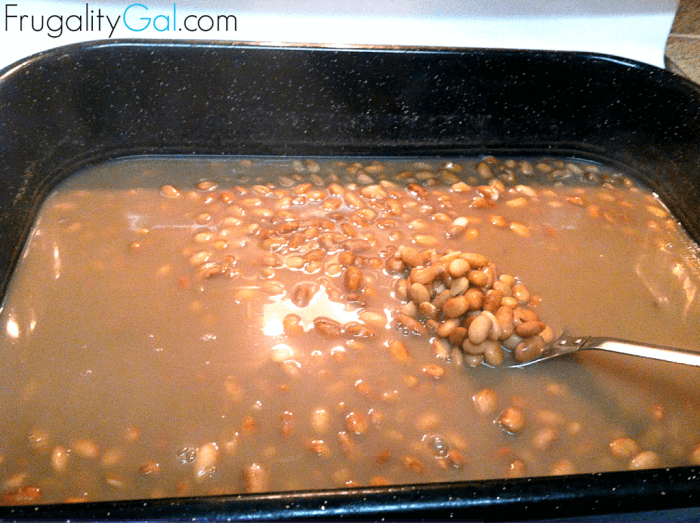 YOu soak them as usual, drain, and cover with fresh water, 1/2 inch above beans. Pressure cook for 3-5 minutes depending on the beans and thats it! I usually cook most beans for around 4 minutes. I haven’t tried that (I don’t have a pressure cooker), but that sounds like such a quick way to cook the beans. What temperature was the oven and did you cover the pan? Hi Sam, I did not cover the pan and I set the temp at 350. I have never heard of cooking them in the oven. 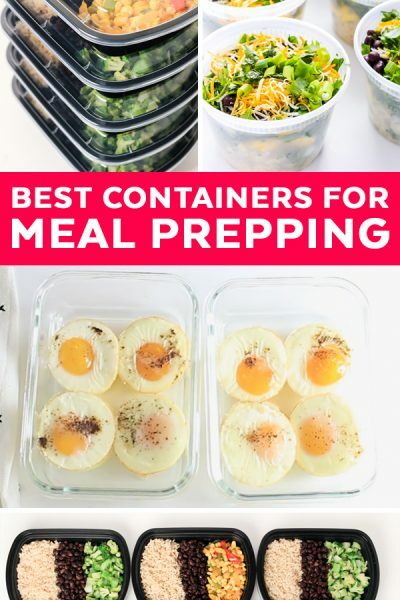 Great idea, because you can just pop them in there and forget about it until they are done! Pinning this! That is exactly why I love this method – set it and forget it. What was the size bag of pinto beans you used? I’m sorry Patty, I forgot to look at the size before I tossed the bag. So you got 10 cups out of a one cup package? I did get 10 cups out of the package. Unfortunately, I forgot to take note of the size of dried beans before I tossed it, but I’m sure the package was much larger than one cup. If memory serves, I believe it was about a 1lb bag. I love the idea of cooking once and freezing beans for later use! Thanks for sharing at Simple Supper Tuesday. Fantastic idea! I made some beans yesterday and my pot boiled over (oops!) This will be much less messy. Ah, what a great idea! Especially if you are having a big get together and need a lot of beans. This is genius. Thanks so much for sharing and linking up to Thrifty Thursday. This would definitely be a good way to knock out a large amount of beans in a small amount of time. Thanks for stopping by, Ruth! when cooking the beans in a slow cooker get them going at night before bed season the water so the beans absorb it and fill the water to the top even cooked on high the water wont dry up by the time you get up. in the morning just stir and taste check and there done! When you make the mistake of forgetting to soak your pinto or great northern beans for hours before cooking, my Mom found a way around the problem. She taught me to always “look” the beans, open the package and make sure any small rocks or bad looking beans are removed then rinse the good beans in extremely hot tap water in a strainer or bowl for a couple of minutes then place them in the pressure cooker, add salt to your taste and water to cover completely and a bit more if you like to have soup for corn bread with them. Then add 5-10 extra minutes to the recommended cooking time for your pressure cooker. Let the pressure come down slowly if possible then add extra seasonings if you wish, such as a ham bone and let boil as few minutes for flavoring. Being Southern, we like our beans soft and soupy and this works every time and saves that 8 hour prep time. To get the app Brawl Stars get iTunes. So much beans is that? And what about the ham that gets cooked with them? I do ham.